Former Bosnian Serbian commander Ratko Mladic has appealed against his convictions for genocide and war crimes, urging UN judges to acquit him instead of all charges. Mladic, once dubbed the Butcher of Bosnia, was sentenced to life imprisonment in November for his role in the Balkans war, including the 1995 Srebrenica genocide. In filings to the UN court, he asked that "all erroneous findings" be reversed or quashed. Prosecutors also filed an appeal, urging that the tribunal should find Mladic guilty of a second charge of genocide in Bosnian towns, of which he was acquitted of in November. 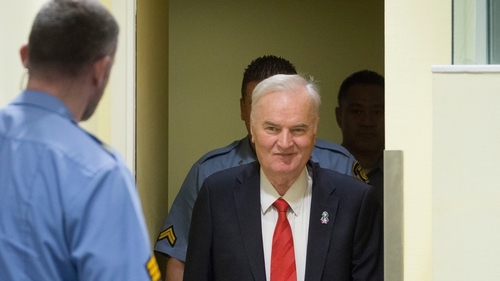 When sentenced, the UN Criminal Tribunal found Mladic guilty of ten of 11 charges. These included the slaughter of 8,000 Muslim men and boys at Srebrenica and the siege of the Bosnian capital Sarajevo, in which more than 11,000 civilians were killed by shelling and sniper fire over 43 months. The killings in Srebrenica of men and boys after they were separated from women and taken away in buses or marched off to be shot amounted to Europe's worst atrocity since World War II. Judges said Mladic "significantly contributed" to war crimes committed at Srebrenica where he was accused of ordering the massacre. They also said Mladic was a member of a "joint criminal enterprise" intending to purge non-Serbs in Bosnia and was instrumental in war crimes in Sarajevo and personally directed shelling of the city.